Youth International’s mission is to open the doors for young adults to discover a broader perspective on the world while developing a deeper understanding of themselves and their place within the world. Developing more personally and socially aware future leaders, Youth International also hopes to take small steps toward bridging the gap between people of different nations and making the world a better, more peaceful place. Since 1997, Youth International has provided many people with the most exciting, fulfilling, and educational experience of their life. 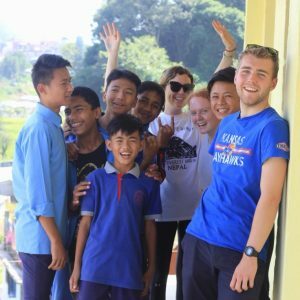 Our gap year opportunities provide a unique way for you to explore some of the world, open your mind, and challenge who you think you are or might be. The program sets you up to gain a first-hand understanding of a variety of different cultures and communities, and to give back to them. The program is a tremendous amount of fun! It is, however, extremely intense and demanding and is not for everyone. Team members continually face a variety of extreme challenges. They are asked to dig deep into themselves. In return they are greatly rewarded for their efforts. Youth International members must not only be prepared to endure, but also be open to embracing the uncertainty of stepping outside of their physical, psychological, and emotional comfort zone. They will constantly be faced with different people and new situations, forcing them to re-evaluate what is right, wrong, or normal, and who they are in relation to these norms. Standards of physical comfort will be much lower than what most participants are normally accustomed to. Tremendous personal flexibility and an attitude allowing one to “roll with the punches” is necessary for success. 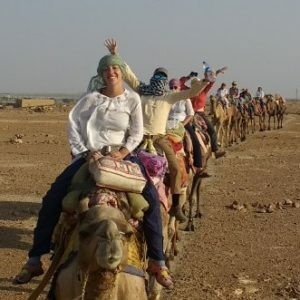 Most of the time, team members travel, live, and eat in a manner similar to that of the majority of people in the countries which they are visiting. Most travel is overland. Nearly every conceivable mode of public transport is used— from bus to train to boat to camelback. You will travel second or third class, not first. Most will be in very simple hostels and guesthouses, usually in shared rooms or dormitories with common bathroom facilities. There will be at least one home stay in most countries, and often more. On average, participants live with host families for about one third of the trip. Home stays often will be extremely basic and in remote villages where there is no electricity, running water, or other basic amenities. There will also be some city home stays. Accommodations also include hostels, camping, sleeping on trains, in temples, and more! Typically local fare. The cuisine is usually very different than in the West, and is often very simple and lacking in variety. For some people this is one of the biggest challenges to stepping outside their comfort zone. 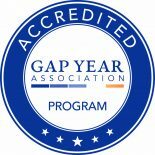 A major component of the Youth International gap year opportunity is community service work. 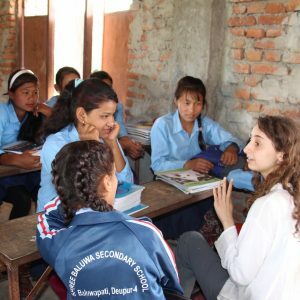 On average, 30 percent of a participant’s time in the program will be spent volunteering on projects such as: helping to build or renovate schools, homes, and orphanages, teaching, doing conservation work, and caring for the sick and disabled. You will be doing some wonderful, needed, and sustainable things for many people in several communities. The focus of the program, however, remains on cultural exchange and education. This is not a social service or foreign aid organization. All Youth International participants are expected to work hard, consistently, and seriously while on any project. The main focus of Youth International is on learning. 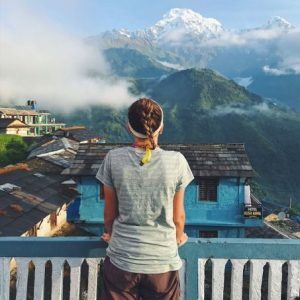 The gap year opportunity is best suited to those who are intensely curious about the world around them and who they are in relation to the world. It is ideal for those taking a “gap year” between high school and college, a break in the middle of college, or time out after college graduation. The majority of learning will come directly from the experiences of day-to-day living and travel as outlined in the tentative itineraries. Team members also engage in individual and group reflection, reading, culture and language workshops, and attend some talks from guest lecturers. This more academic component balances the experiential education to raise the level of learning to its highest potential. Participants in Youth International must be willing to fully invest themselves in being an active and cooperative member of a team of up to fourteen people between the ages of 18 and 25. The team dynamic is an overriding element of the Youth International experience. While providing one of the most fun, fulfilling, supportive, and educational aspects of the program, it can also create the grounds for some of its major challenges. All must learn, often under very trying circumstances, to live, work, play, and grow with each other, together creating a self-sufficient small traveling community. 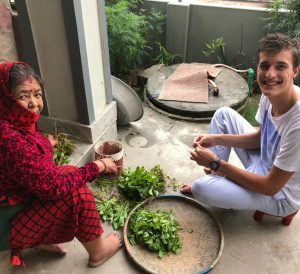 During the upcoming fall 2019 and spring 2020 semesters, Youth International will send a team to Asia and a team to South America. The Asia teams will travel to Nepal, India, and Thailand for 13 weeks. 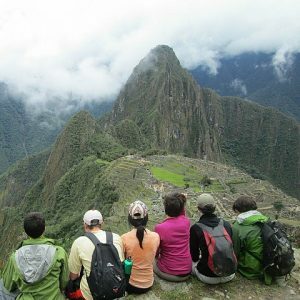 The South America teams will travel to Bolivia, Peru, and Ecuador, including the Galapagos Islands, for 12 weeks. The next Africa program will be offered in Fall 2020.